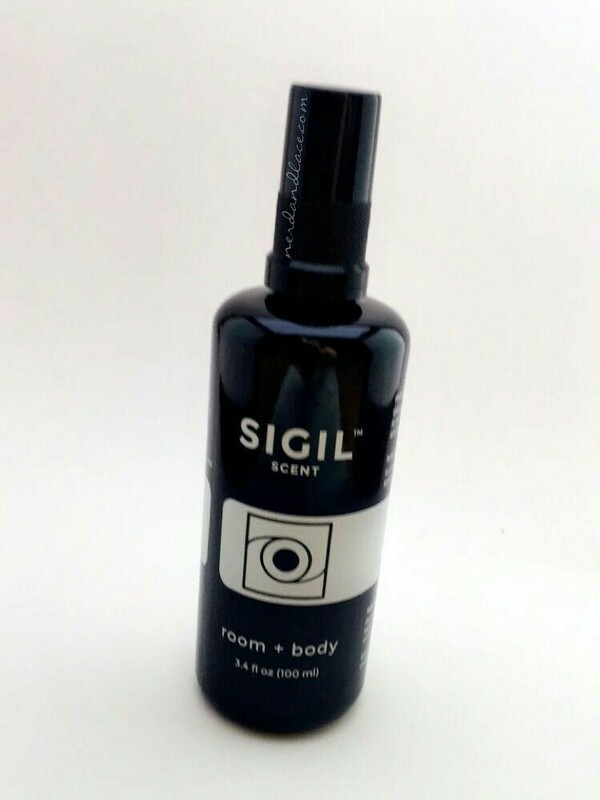 I received a bottle of Sigil Scent Room & Body to review, courtesy of 0.8l. This room-body spray is perfect if you are into natural and chemical-free room/body mist. I tried it on my body, bedroom, and pillow before bed, and it reminded me of when you go to a spa where they have that nice relaxing scent. Sigil room and body scent evokes peaceful contemplation, still air of the desert, warmth beside a campfire, and star-filled midnight skies. They currently have 5 different scents: Balance, Focus, Open, Ground and the one I am reviewing today, Aura. Some of them are unisex so the hubby can spray some on too. Each of our fragrances is designated by a special symbology—a sigil and a color. This creative application of an ages-old esoteric tradition imparts a feeling of weight to the intimate ritual of choosing and wearing a fragrance. PERSONAL THOUGHTS | If you are not into natural scents this can be a little too strong and overpowering. My husband was not a big fan, but I loved it. So it depends on your taste of course. This body-room mist is FREE of chemicals; it’s organic, hand blended, and infused with personal meaning, sounds like a great product, doesn’t it!? PRICE | Personally I feel it’s a little pricey. A 3.4 oz (100 ml) bottle of Aura is $40 USD. The rest of the scents are $90 for 1.7oz (50ml) at Sigilscent. If you have tried this product or are into natural organic scents share your thoughts. We would love to hear your opinion. Keep calm and spray on!